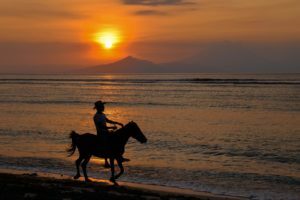 The Gili Islands is famous for three things: diving, snorkeling, and party—but there are more things you can do in these ecstatic islands! Here are activities you can venture in. Live music is played each night at Sama-Sama. 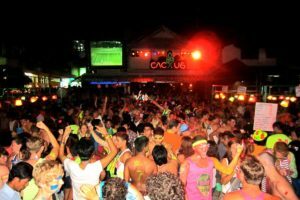 Plus, at daytime, there are jamming sessions around the island you can join in! Sasak Island Cafe on Gili Meno also have jamming sessions every night—great while you ’re having a chilly Bintang! Here, Reggae songs are the favorites. If you are diving with your family or friends, perhaps you would enjoy a ride along the beach! Experience the islands chill ambiance while horseback riding—best to do this at sunset for a more cinematic feel. 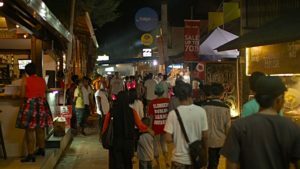 Around 6 pm every day at the market square before the pier on Gili Trawangan, the night market comes to life. You can find lots of interesting hoards in this place including Indonesian handicrafts, fruits and vegetables, seafood, and varieties of traditional cuisines!